Does your DIRECTV receiver seem like a dinosaur? If it’s been a while since you looked at new satellite equipment, it’s time to look again. Even if it’s only been 5 years since you looked at your system, you will be surprised at the upgrades you can get. You may have been scared off by reports of flaky equipment, but DIRECTV boxes are rock solid these days, and they do tricks your old receivers never dreamt of. Non-APG receivers will not work in the near future. If you have a DIRECTV box from RCA, Sony, Philips, or Hughes, or if your DIRECTV box doesn’t have an access card, it will not work with DIRECTV service in the very near future. These older receivers rely on obsolete systems to keep them working and DIRECTV has been using the new system for about 8 years. Any receiver older than that should be responsibly recycled. First-generation HD receivers are obsolete. If you bought a DIRECTV HR10 DVR or an RCA or Sony HD receiver, you probably know that all the national HD channels will not work with it. DIRECTV is also transitioning all the local channels to MPEG-4 technology that’s incompatible with these older boxes. DIRECTV has moved to SWiM technology. If you do need a service call to your home and you haven’t had one in some time, don’t be surprised if the tech wants to change you over to SWiM technology. This is a proven system for distributing signal to your home that is less expensive and simpler, but most receivers made before 2008 won’t work with it. (Want to know more about SWiM technology? Read our White Paper. So, if you’ve been holding out, coddling an older receiver and waiting until the time was right, wait no longer! You can get a great experience with HD channels and extra features, so why wait? Want to take it with you? 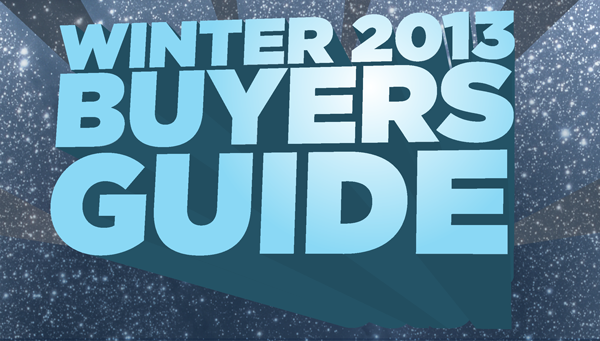 Click to download our Winter 2013 Buyers Guide! Can you put a SWM-13 LNB on an existing Slimline dish? What is a voltage blocking coupler (DC Block) and what is it used for? What’s so special about those HDR TVs?